How is the weather in Plitvice Lakes? One of the stunning trails at Plitvice Lakes National Park! For a while now Plitvice Lakes have been all over the socials, with stunning videos and impressive pictures that get a lot of Ooohs and Aaahs. Someone thinks it’s all a matter of photo filters and post-editing. The luscious green of the trees and the incredible blues of the water can’t really exist in Europe, right? And yet as someone who has been to Plitvice Lakes for the first time over 20 years ago, I can tell you that yes, it’s all true. Lots of things have changed since then, but there’s still that magic, the tremendous beauty of this oasis well hidden in the heart of Europe. But what should you expect from the Plitvice Lakes National Park in Croatia and how can you get there? Let me tell you everything I know about one of the most beautiful natural parks in the world. As someone who loves chasing waterfalls, Plitvice didn’t disappoint: there are so many! 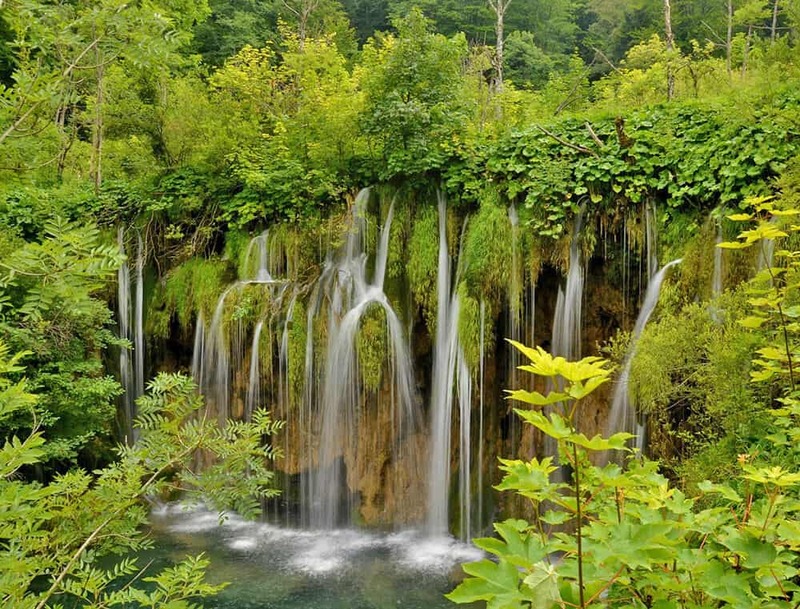 Plitvice Lakes is one of the oldest (and the largest) national parks in Croatia. Added to the UNESCO World Heritage register in 1979, it has always been a hidden gem in Europe, until recent years, when thanks to a few videos it has gained a lot of popularity, especially on social networks. This National park is located in central Croatia, near the Bosnian border and extends over 296.85 square kilometres (73,350 acres)! It includes world-famous waterfalls and 16 lakes, which are the result of the confluence of several small rivers. 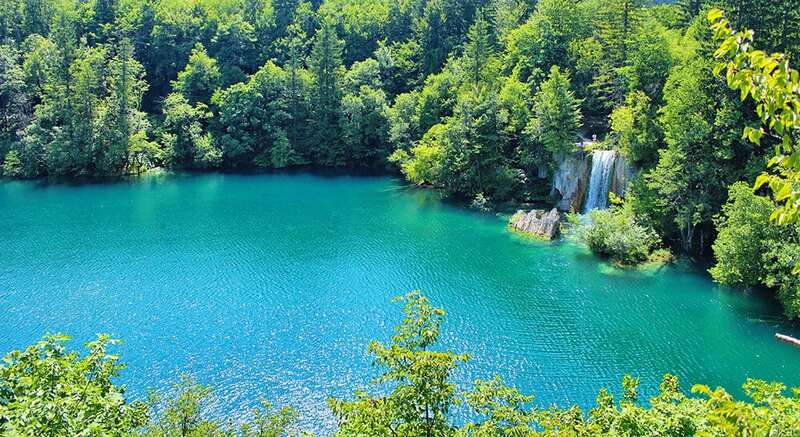 All the lakes in Plitvice are interconnected and only separated by natural dams of travertine, deposited by the action of moss, algae and bacteria. This ecosystem is particularly fragile and keeps on changing throughout the years. Plitvice Lakes National Park in Croatia is also famous because of the distinctive color of its lakes: it feels like seeing the world in technicolor! The shades depend from the quantity of the minerals and organisms in the water and the angle of sunlight, so you could visit this park hundreds of times and see that it always has some new wonder to show you. 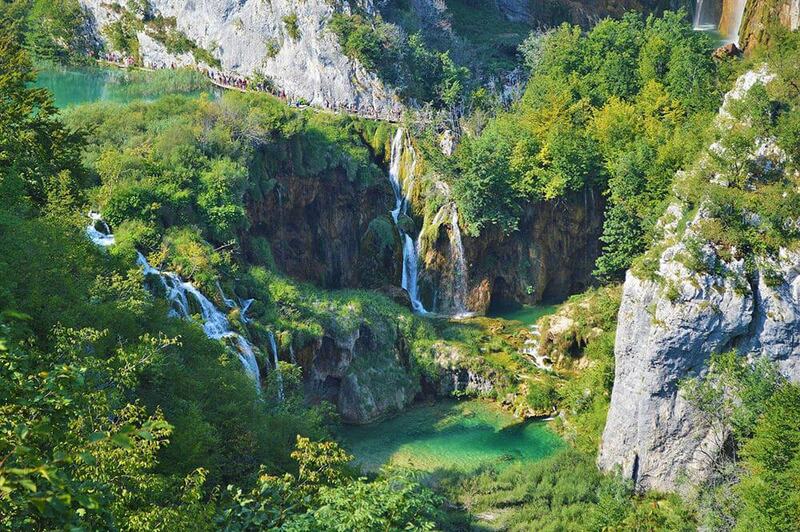 In case you want to visit Plitvice Lakes, know that there’s a lot to do, so planning ahead is a must. 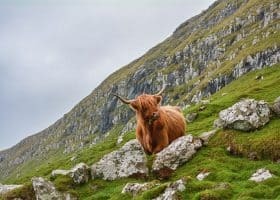 There’s in fact the chance to experience several trails if you like to hike, or you can tour the lakes on a self guided trip according to how much time you have, and even in winter you will find a lot of interesting things to do. Contrary to popular belief, you’re not allowed to mountain biking inside Plitvice Lakes National Park, but you can surely have some fun on your bike on the state roads D429, D42 and D52. Outside of the Park borders in fact there are many cycling trails that you can enjoy. Wildlife encounters at Plitvice Lakes aren’t uncommon but you should never feed the wildlife anyway! As I already mentioned, there are so many things to do in Plitvice Lakes, so planning well in advance is a must, especially if you don’t have too much time to visit. Here you can find a useful map of the park, and here a handy list of the tour programs, including duration and trail length. I couldn’t stress it enough when I told you about my hike on Mount Vesuvius: also in this case wearing the right kind of clothes and shoes is absolutely mandatory. Here you can find some great deals on hiking boots: I like to wear ankle length hiking boots also in summer, because if you get good, breathable ones, you won’t feel uncomfortable at all. Also make sure to wear breathable clothes and bring at least 1 liter of water (possibly using a reusable bottle just like we do, to reduce plastic pollution) per person, plus a good sunscreen. Plitvice Park is open every day of the year, but in winter they close earlier than usual and you can lodge only in Hotel Jexero. You can get in from 3 entrances, Rastovača, Hladovina and Flora (secondary entrance), all open from 07:00 am to 07:00 pm. The ticket office closes at 05:00 pm, and the parking lots at Rastovača and Hladovina close at 09:00 pm. You can buy the tickets at the park or plan things well in advance, by booking a tour from an tour operator online. The park itself doesn’t sell tickets online. Plitvice Lakes tickets include transport with the electric boat and scenic train, visitor insurance and taxes. One day tickets are free for children up to 7 years and persons with disability. From January to March and in November and December, tickets for children from 7 to 18 cost about 5€, while adults will have to pay about 7,45€ (in Croatia they still use the Croatian Kuna). In April, May, June, September and October (included), children from 7 to 18 will have to pay about 11€, and adults about 20€. July and August are by far the most crowded months, but the tickets will cost you more or less like in mid-season. You have the option to buy a half day ticket (from opening to 04:00 pm and from 04:00 pm to closing time), that will cost less, but the best deal, in case you are planning to stay for a weekend, is to buy the 2-days tickets! Note: dogs are very welcome to Plitvice, but they have to be on a leash all the time. On our first visit to Plitvice National Park, we were the only ones who didn’t wear a swimsuit. I remember being so annoyed because me and my sister really wanted to jump in the water like everyone else was doing, and I couldn’t understand why my parents didn’t allow us to do so. 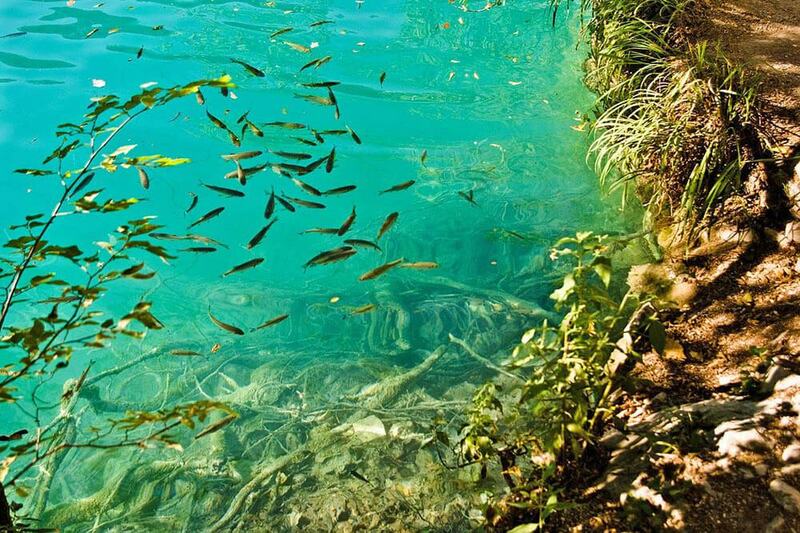 Now swimming in Plitvice Lakes is forbidden, just like littering (doh!) to preserve this delicate environment, and there’s a strict policy that you should be aware of if you are planning your visit. You can’t pick flowers or plants, and you can’t bring home “natural souvenirs” stolen from the park. In case of wildlife encounters you can’t get too close and you shouldn’t give them food (it should be obvious but still some people think that giving sandwiches to squirrels is a good idea). It is mandatory to stick to the marked trails, and it’s your responsibility to make sure you know the specifics (difficulty, length, etc) of the trail you want to hike, to make sure you have enough time to complete it before closing time. Unless you rent a car (and pay hourly parking fees at the park), getting to Plitvice Lakes will need some planning. There aren’t airports nearby, but you can definitely fly to Zagreb or Zadar, and then reach the park using the public buses. 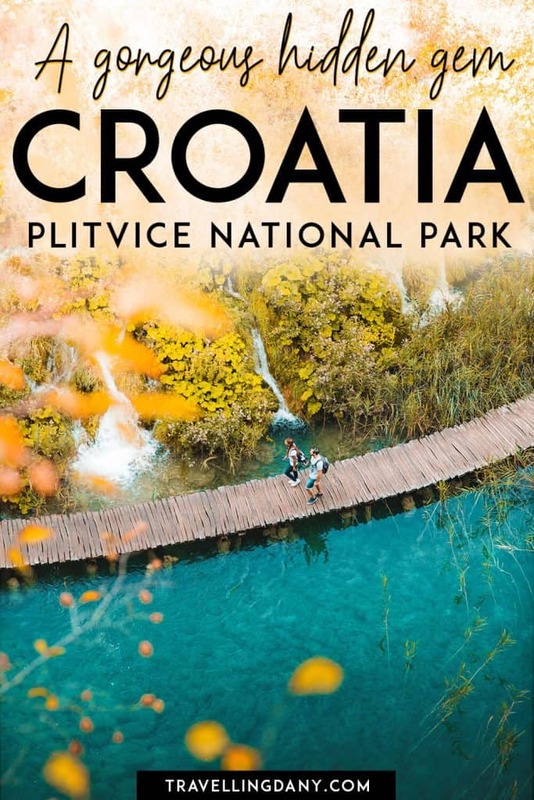 A lot of Italians visit Split and I remember we drove all the way from Pula, but now Game of Thrones has become so famous so people are adding Dubrovnik to their itinerary: let me try to offer the best options to reach Plitvice Lakes National Park from the most popular destinations! 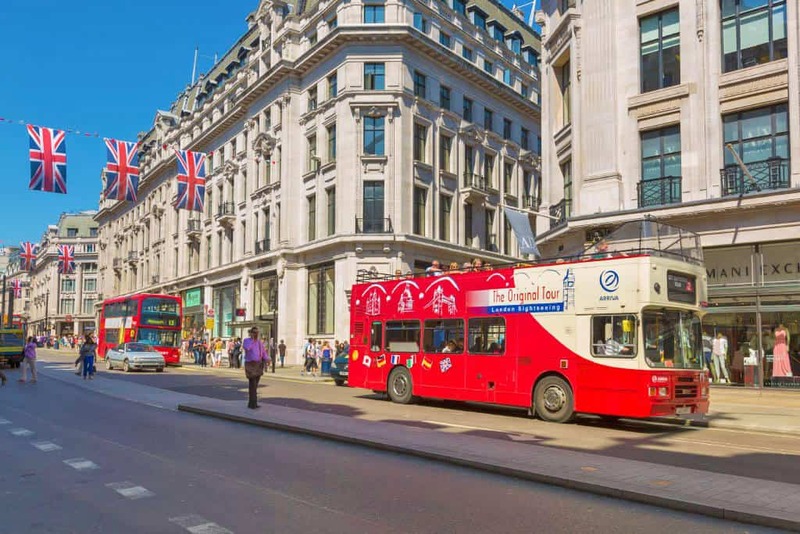 Just a brief note: buses generally stop outside the two main entrances but always ask your driver just to make sure! Zagreb Airport is about 140 km from Plitvice Lakes and you won’t need a car because just outside the terminal building you will find a connecting bus to the main bus station in town. Once you’re there you will find a lot of buses to Plitvice Lakes (especially during high season). The trip will take 2 hours and 20 minutes and you can even book your tickets in advance on the Zagreb Bus Terminal official website. Another great option for those who want to visit Plitvice lakes in the first part of their itinerary is to fly to Zadar. The airport is about 130 km away from the national park and you might also be able to score a good deal on your flight tickets! The bus ride from Zadar bus station to Plitvice lasts about 2 hours. Many private companies offer tours (usually by bus or minivans) from Split to Plitvice Park, often as nice day trips that you can book well in advance. Split is 242 km away from the park, and because there isn’t a direct train connection, getting there, unless you rent a car, might be a bit difficult. 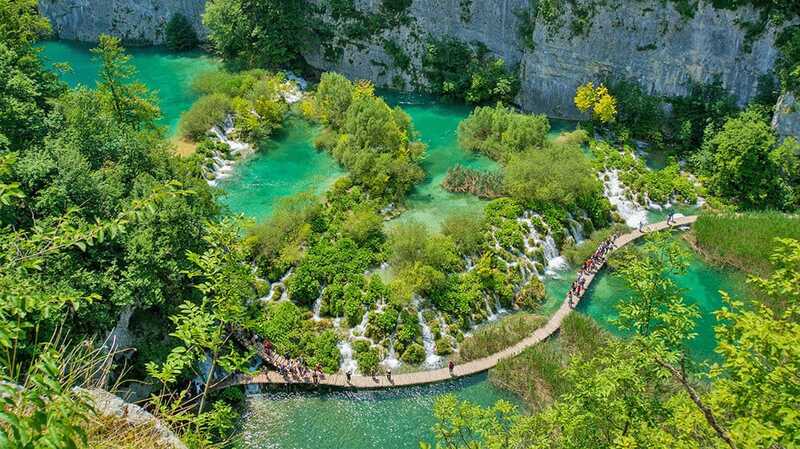 In July and August there are buses connecting the park to Split, but it’s a long journey so you will have to spend the night at Plitvice. Bus tickets have to be purchased at the bus station. Dubrovnik is a whopping 432 km away from Plitvice lakes, so if you have more days I suggest you to have a stop in the middle of this long trip (also if you’re driving!). When I used to visit with my family we liked to stop in Sibenik for one or two days! It’s a nice medieval city, with a lovely stretch of sea and still not tainted by mass tourism so definitely a good option, also because it’s halfway from Dubrovnik to Plitvice! To get there using public transport, if you don’t have time for a stop to Sibenik, you should take a bus from Dubrovnik to Split, and then change to another bus to Plitvice. Istria, and especially Pula, was another one of our favorite Croatian retreats when I was younger and definitely a place Italians love to visit because the sea is amazing and there are so many restaurants, clubs and fun activities to do. In case you have planned your vacation and you want to plan a trip to Plitvice, know that it’s almost 257 km away and you might want to book a tour with a company that will take care of transport and entrance to the park. It’s definitely easier and will let you enjoy the trip without getting a headache! So you’re planning a trip to Plitvice Lakes National Park and you have no idea what to wear or what to expect from the weather in Croatia? Provided that, as suggested also on the official National Park website, it’s always better to wear a good pair of hiking boots, summer at Plitvice is always pretty warm. July and August are not only the most crowded months but also the warmest, with 30°C on average and good, sunny weather. February is usually the worst month as it rains pretty often, with max temperatures on an average of 8°C. June, May and September are good months because while you might have to expect the occasional rain (bring along a foldable raincoat just in case), the temperatures are good (with an average of 24/25°C) and you won’t spend as much as you would in peak season. Note: The weather is always unpredictable, so it’s important to check the weather forecast the day before your trip. If you like Winter sports and activities, Plitvice Lakes is the perfect place to go to. 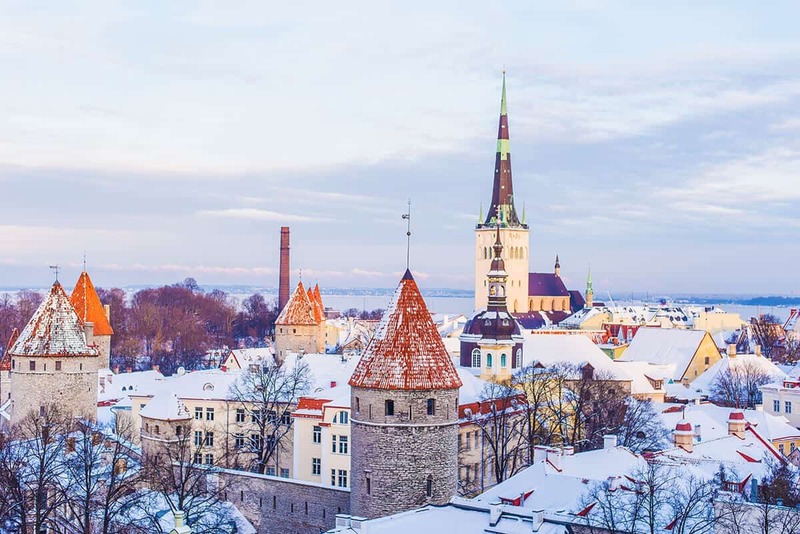 Winter can be pretty cold in this part of Europe, with temperatures that drop way below 0°C, but you will be rewarded with lots of snow! There’s a ski resort next to the State road DC429, in Mukinje, at about 2.5km from Entrance 2 (5 km from Entrance 1) and the Plitvice Lakes National Park hotel complex. Here you will find a pretty big ski lift, and obviously ski trails for skiers and snowboarders. If you are travelling light, you can always rent all the equipment at the Mukinje ski resort, together with sleighs, snow saucers and toboggan sleds. In case you’re staying for a few days, you can reserve your equipment in advance, as it can be pretty crowded (especially during the Christmas season). The ski trails are suitable for beginners, recreational skiers and children, because of the gentle slope gradient (15% on average). Plitvice Lakes National Park offers the chance to walk in a pristine natural environment, because the park staff always works pretty hard to preserve this protected area for future generations, therefore they are pretty strict with their rules and it’s mandatory that you don’t leave garbage or any other trace of your visit. There are 8 self guided walking tours around the lakes area, and 4 hiking trails in the forest, which are generally way more quiet because people always tend to stick more to the water, due to the amazing waterfalls and the brightly colored lakes. The trails are well marked and also shown at the two main entrances (they use green for Entrance 1 and orange for Entrance 2) and you also have the chance to use the visitor trains, at no extra cost. Remember to keep your ticket at hand because you’re going to need it to use the internal transport options! What changed for me from my first visits years ago to the latest ones? Basically nothing. While I enjoy the scenic trains, I still have a thing for the electric boats in Plitvice Lakes just like when I was a kid! They are a great way to explore (and they’re included in your entrance ticket!) and take pictures/shoot videos of the lakes. Most of all they’re very cool, to be honest, so go for it if you have the chance! Whether you’re going to hike or not, make sure you always bring with you a good bug repellant to avoid being eaten alive by mosquitoes and insects… that’s not very nice, you know! The trails are all pretty narrow and you will hike on uneven terrain (hence the need for appropriate clothing and good hiking shoes), also around the lake zone they are not fully adapted for the disabled. Even strollers aren’t a good idea, so make sure you take this into account if you’re planning to explore the park! This looks amazing! Croatia is on our list to visit hopefully next year, so I’m adding this to my list of things to see! I will keep my fingers crossed that you get to visit! Do you already have plans or an itinerary for Croatia? We visited in back in 2016 and it was incredible, though it was absolutely throwing it down with rain!! I would love to go back and try and get a sunny day!! This is a perfect detailed guide on Plitvice Lakes. The blue colour of the lake looks so beautiful. I like the fact, that they don’t let you swim, to maintain the environment and you need to walk on the dedicated trails with in the park. The National Park is really huge and equally amazing. Waterfall too are heart wining. Appreciate that you shared the map and travel tips to make it more convenient for the travelers. Yes I also appreciate that, if it helps to preserve this park for the future generations, it’s all more than welcome! That is a lovely guide to getting to Plitvice Lakes. The blue here is so unbelievable. Pity you cannot get into the water but I guess, to preserve it, it might be necessary. Fingers crossed that I get to it some day. The blue is amazing, you’re right! Which is why it’s important not to swim there, as it could alter the balance between minerals and algae that provide the amazing shades of blue! Before reading your article, I just saw the photos of Plitvice Lakes National Park on SM. To be honest I didn’t know that I should buy a ticket to be able to visit the park, because most of the national parks in Europe are free and we can go. It is also interesting that they have a strict policy of ‘no swimming’! I always thought if I go to Croatia I would take a road trip. But you said that we should take a bus to the national park. is it possible ( or do you recommend) to drive from Zagrob to the national park? What about food? Is there any restaurant to have food or we should have the picnic with us? Actually nope, the best way to go is to drive over there if you can and if you’re planning to rent a car. I’m sorry if you got confused about the article, I was merely offering information to those who don’t like to drive abroad. 🙂 Of course you can drive over there from every part of Croatia. 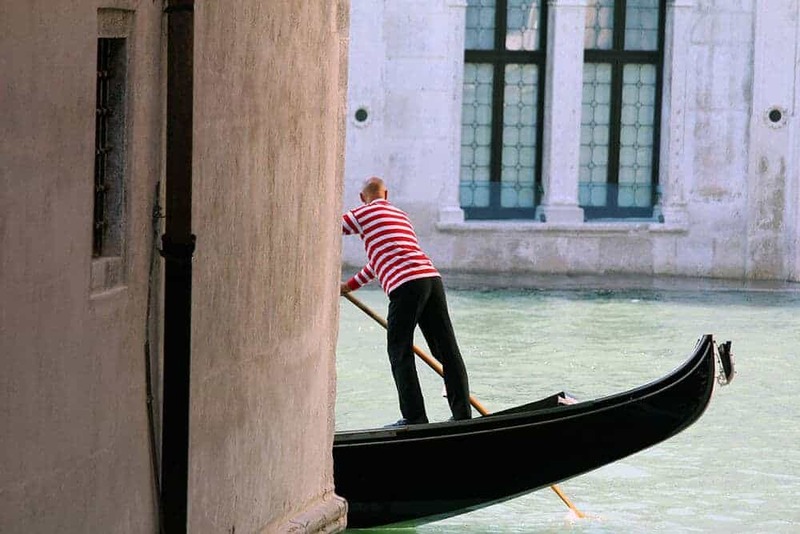 Many Italians drive all the way there from Italy! As for food, our favorite was Licka kuca restaurant, but there are so many restaurants and pizzerias in the tiny towns inside the park! We got to visit Plitvice Lakes in December 2005 and even in the midst of winter, the scenery was stunning. Would absolutely love to visit in summertime! Does it get very crowded? Did you get to do some skiing? In summer it *is* very crowded, most Italians love to go in July and August, and Croatia is one of our all times favorite destinations! If you want to avoid the crowds the best time to go would be May or early June. September is also beautiful, less crowded and still warm enough! Plitvice Lakes looks so beautiful and is definitely somewhere I would love to visit! And you’ve put together a really excellent, comprehensive guide. I think it’ss interesting that there are so few trails though. I’m used to American National Parks, that usually have several hundred miles worth of trails. I know what you mean, and having been (we love them, actually) to many American parks we were equally puzzled. I also felt a bit bad because basically the park isn’t really doing much to help the disabled to explore, but the fact that they can ride the boats and the scenic train made it all better. Of course it’s not the same as hiking but it’s good that they can visit and enjoy such beauty! Wow! Plitvice is really a gem! Like you said, I got introduced to it by the social media when I started seeing the pictures of this place everywhere! Since then, it has been on my list. This is the most detailed guide I have by far seen on Plitvice. I am going to refer to this when planning my trip. Thanks for this awesome and gorgeous pics of the Park. I will keep my fingers crossed that you get to visit soon. Croatia is indeed an amazing country! Aw that is so sweet of you to say! We always try to be as detailed as possible because we know how hard it is to find thorough guides online and we want to make life easier for our readers! Thank you! Oh my goodness, this is such a beautiful place! I have heard very little of Plitvice Lake and I know I am missing a lot! I must visit Croatia soon! The falls, the trails, the water.. everything is so magnificent! Fingers crossed that you get to visit soon! 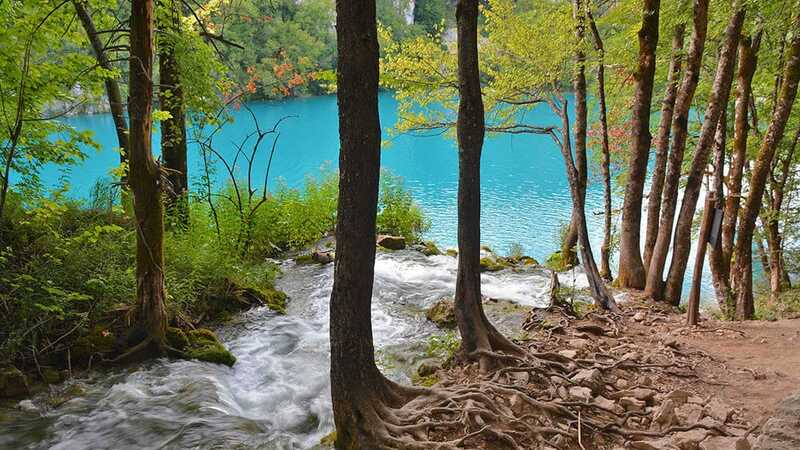 That is a great detailed post on Plitvice Lake. It looks so beautiful. I would love to visit it for sure once around in Croatia.Great pictures gal. I had heard of-Plitvice quite a few years back now but I’ve still not managed to get out to them and as somebody who is a waterfall chaser like yourself it’s borderline criminal that I haven’t experienced them yet – I’m glad you’ve touched on the can’s and can’t’s here like you cant go for a swim anymore or pick flowers – So many amazing and natural places that got discovered and turned into tourist magnets are becoming like this. I planned to visit from Dubrovnik, but I didn’t have enough time because as you pointed out the distance is enormous. I would have loved to see all those amazing colours that emanate from the lakes. I visited Plitvice for half a day about 10 years ago as part of a tour of Croatia. But half a day wasn’t enough time to explore as much as I would have liked, so I’m hoping to go back. Your photos are excellent and capture the colour of that water perfectly. You’re right, not enough! It only makes you want to get back for more! I also want to have another go at it, at a less crowded period! I can honestly say I had never heard of Plitvice Lakes before now, but I’m so glad to discover it! Also nice to know that your ticket includes transport inside the park, insurance, and taxes. Wow! You don’t find that often. The different blues of the water and the waterfalls is an instant draw for my camera and me! It’s a comprehensive ticket so it’s great if you’re travelling with kids or disabled because while they won’t be able to hike, they can sit in the panoramic train or on the boats and still enjoy the beauty of this park! 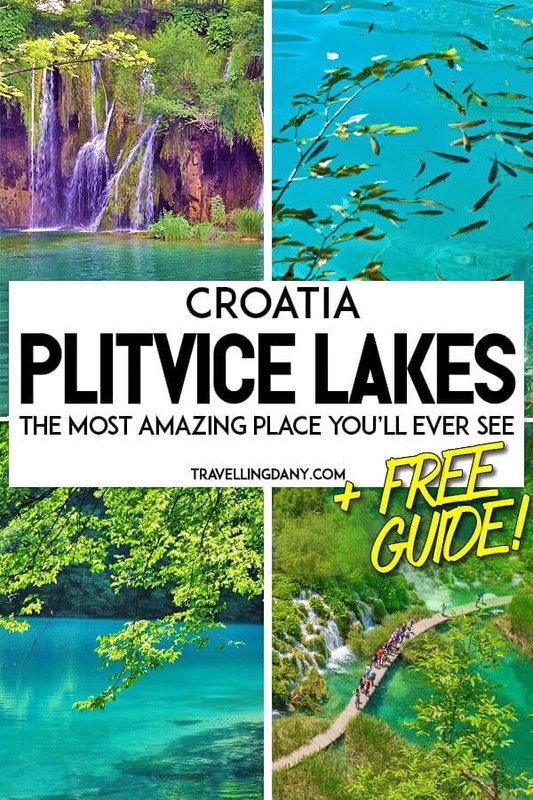 I’ve heard of Plitvice Lakes, and it was great to read about the area in more detail. You’re right — the water is breathtakingly lovely, and great to know it REALLY looks like that, that it’s not a photo filter. In the age of heavy tourism, I’m sure they have to protect the sensitive area — but it is sad that you cannot swim in that beautiful place. Right? Sometimes I don’t even know what to believe anymore! What a wonderful guide on Plitvica. We drove down all the way and it was a BLAST. Plus stayed in a small Airbnb near the park so could take a two day pass and revisit 🙂 would love to go back and camp too! I agree with you, one day or half a day aren’t enough! How cool that you got to find an Airbnb in the area, I’ll have a look too, for my next trip! Wow! Have never heard of this place before and to find out that it’s in Europe, for me, is even more amazing. No wonder this place is a UNESCO World Heritage Site. Thanks for all these travel tips. They are so useful! Can’t wait to visit Plitvice Lakes National Park one day. If I could get on a plane now and go here I would!! Beautiful place, definitely adding it to my list of places to go when I visit Croatia! Haha it has this effect on me as well! I have been to this place so many times. But, never get enough. You have written this bog so nicely. I am really impressed. It is really informative. How wonderful Neha! When was your last visit? Such a lovely place.. I went there so many times but never get enough… You have written this blog so nicely. This blog gives a great insight. It’s an amazing place, isn’t it? Is this place even real? It looks straight out an impressionist painting. And my God, those lakes are impossibly blue. Yes it definitely is! They are working pretty hard to keep everything pristine and beautiful as you see it in the pics! It just looks absolutely stunning! I can’t wait to visit one day ! Your photos are gorgeous. The Plitvice Lakes have been on my list for a while, but this is such a useful post. Most just share pretty pictures, which is lovely but this is more practical. Particularly appreciate the map and travel tips, and what to expect of the weather etc. 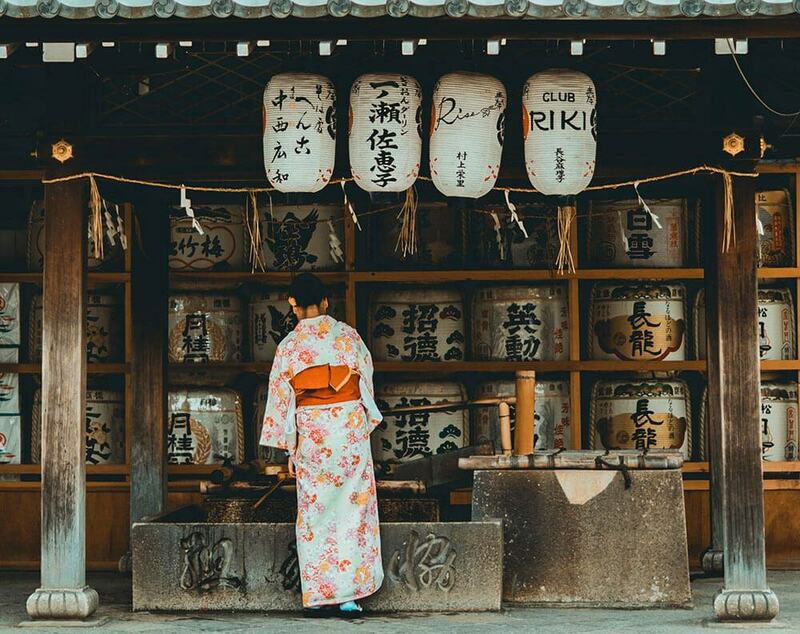 I hope it will be useful to plan your trip! Pinning this for later, as I have wanted to visit Plitvice lakes for many years. How lucky of you to have been able to visit as a child. Too bad you didn’t have that swimsuit. Croatia is a popular vacation destination for Italians so we visited pretty often! And now that I’m a grown up I’m actually happy about the missing swimsuit. Ruining a delicate ecosystem isn’t cool! I believe it’s all about the commercial use as well, so like… people who are going to sell stuff or who carry huge cameras/tripods/etc. To be honest I’ve always seen people taking pictures and selfies all over the place and no one ever complained!